Baby elephants… adorable, fun-loving, cheeky and bright, these wonderful creatures are born weighing about 200 lbs and grow quite quickly from there. In captivity, baby elephants are controlled. No matter that they are behind walls, they are still infants with tremendous energy to explore the world around them, so their handlers limit their actions by shackling one of their ankles to a small stake driven into the ground. It’s an effective but, to me, unkind way to keep the little guys in one place. A baby ele phant that has been shackled will attempt to escape at first, tugging frantically at the chain, yet after time he will give up having learned that he can’t break free. He gets on with the life he has within those bounds. 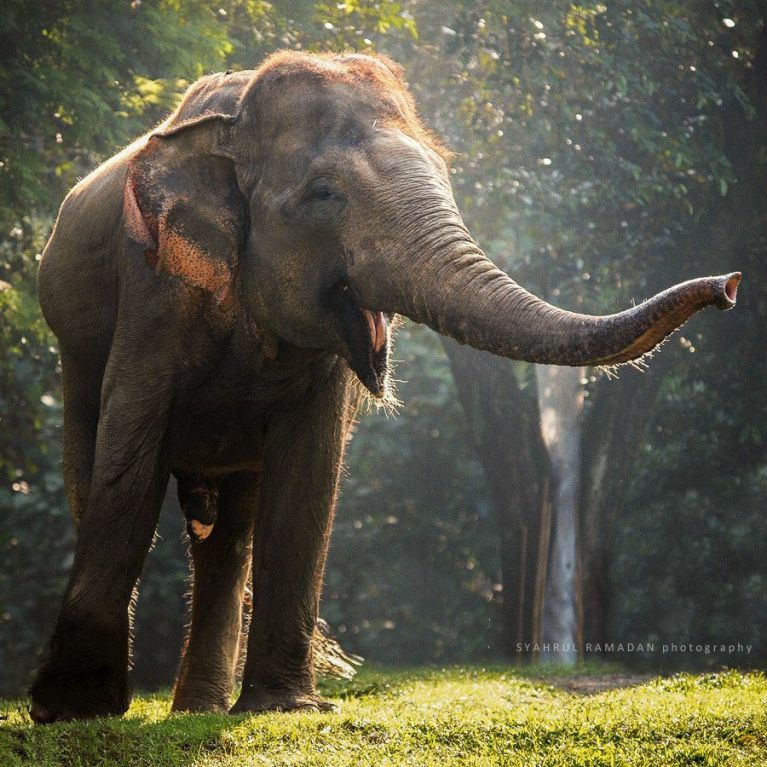 The interesting and rather sad thing is this; as the elephant matures and becomes a huge and powerful adult—somewhere between 6,000 and 13,000 lbs—he doesn’t test the stake any more, even though he could easily pull it out and walk way, dragging it behind him. 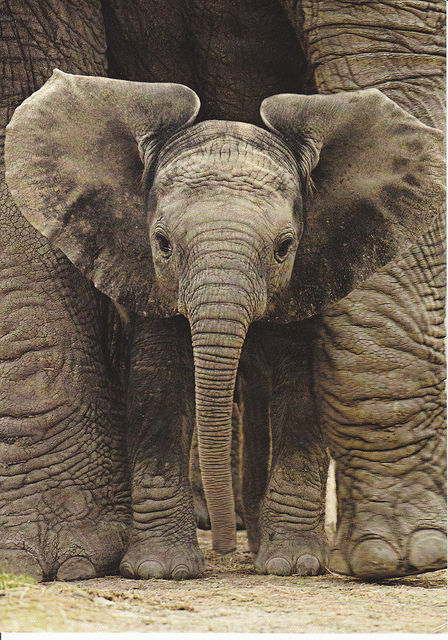 The elephant doesn’t seem to understand that he has grown. He doesn’t recognize his own size and strength. In fact all that’s required to keep him in place is a small metal bracelet around one of his ankles, even when it’s not attached to anything at all. 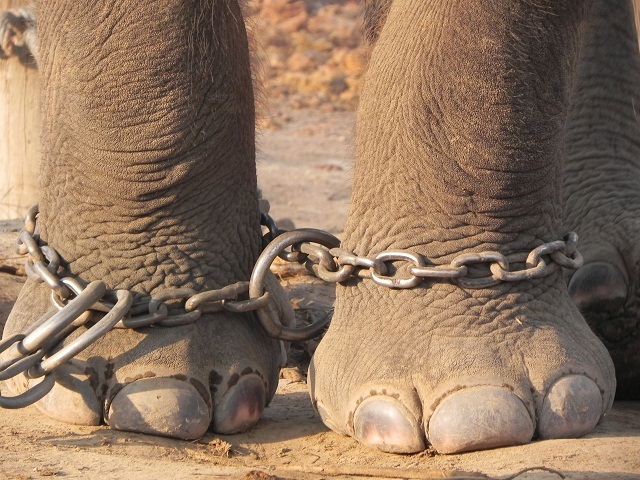 Having once learned that the bracelet is chained to a stake and that it has a hold on him, the elephant will stay. There are hundreds of grown-up two-ton elephants all over this planet that think they are still little and can’t move forward. This same thing has happened to many of us. We forgot that we grew and that the things that used to feel so huge, so controlling, and so able to hold us back are now tiny and small compared to who we’ve become. You may have had the experience of feeling and acting like the child you once were. What that three-year-old was afraid of suddenly overwhelmed your sense of safety and belonging. Fear took over. You might have tried to talk yourself off the ledge, and for a while it may have worked, but that fear kept coming back—in different situations, relationships, and roles you’ve played in life. Now you are here, an adult, having grown beyond your past. You get to recognize that the things from the past will only have a hold over you if you continue to believe they do. It’s the little one—the baby elephant inside you—that has believed you’re still at the mercy of others, of life, of the world. It’s the adult that will tell you something different. The adult knows that you do, indeed, have choice. You open your eyes, shake off the trance of captivity, and see that you are no longer shackled to a stake. You do what it takes to do to remove the chains of the past so that you can move forward. You learn to trust yourself more and see yourself for the awesome creature that you have become.